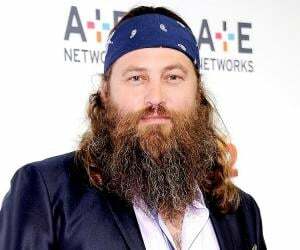 Willie Jess Robertson is an American businessman, actor, author, hunter and outdoorsman. Let’s take a look at his family, personal life, career, achievements, and some fun facts. Willie Jess Robertson is an American businessman, actor, author, hunter and outdoorsman best known as CEO of ‘Duck Commander’ and ‘Buck Commander’ and for his appearances in the A&E reality TV series ‘Duck Dynasty’. Born as third son of American pro hunter, entrepreneur and reality TV star, Phil Robertson, Willie, like his brothers, showed interest in their family business ‘Duck Commander’ founded by Phil. He played instrumental role in expanding the duck call business into a multimillion-dollar empire and also launched a deer hunting merchandise under brand name ‘Buck Commander’. 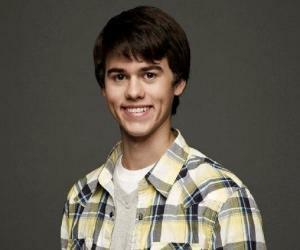 The Robertson family started an American reality television series ‘Duck Dynasty’ in March 2012 that revolves around their life starting from family patriarch Phil to the youngest member. The series has garnered immense popularity over the years. Apart from the series, he has also featured in other TV productions like ‘Billy the Exterminator’ and ‘Last Man Standing’. A devoted Christian and a member of the Churches of Christ, Willie many a times preaches Christianity to others. 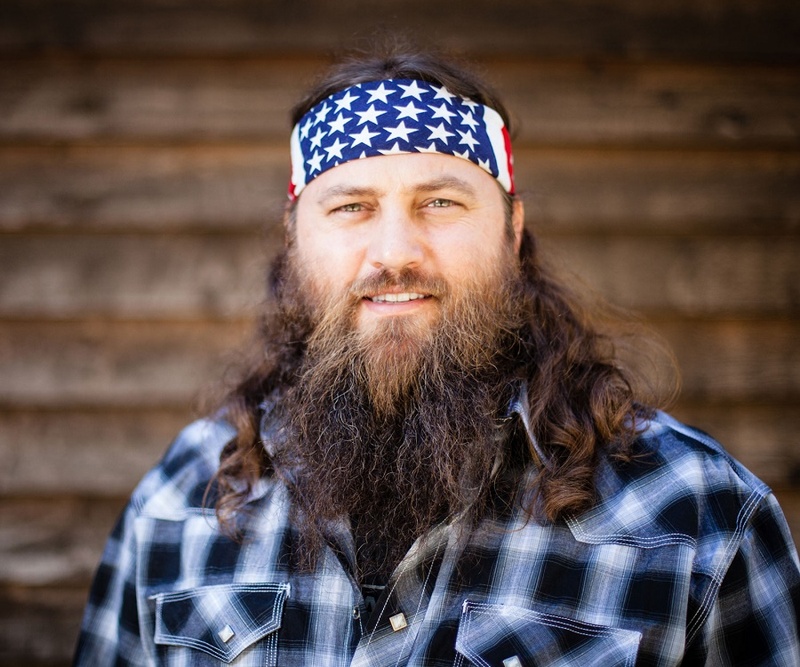 Apart from their views on Christianity, the Robertson men have also caught attention for their long beards while Willie is mostly seen with an American flag style bandana tied around his head. 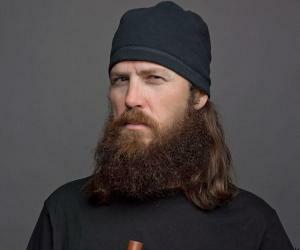 Willie Jess Robertson was born on April 22, 1972, in Bernice, Louisiana, US, at the Tri-Ward General Hospital as the third son of Phil and Marsha Kay Robertson. His father, who was a star football quarterback at Louisiana Tech University, is a professional hunter, reality TV star and entrepreneur who founded ‘Duck Commander’. His mother is also a reality TV star. He has an uncle, Si, two elder brothers, Alan and Jase, and a younger brother, Jep. From an early age he would delve into outdoor and hunting pursuits and also showed interest in his father’s business ‘Duck Commander’ like his other brothers. Young Willie would handle different tasks of the company starting from making duck calls to taking business calls. He studied at the ‘Harding University’, affiliated to the Churches of Christ. Later in 2014, he and his wife, Korie Howard Robertson, were jointly declared as Outstanding Young Alumni by the university. 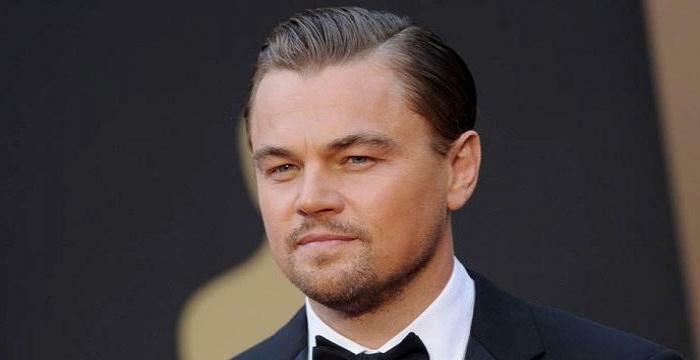 He also attended NE Louisiana University in Monroe, Louisiana, from where he completed his graduation with a bachelor’s degree in Health and Human Performance with Business being a prominent subject. Willie has put his business studies to good use in developing ‘Duck Commander’ from a small family-operated business to a multimillion dollar empire. He presently serves as CEO of ‘Duck Commander’ based in West Monroe, Louisiana. The company specialises in manufacturing duck hunting products, particularly a duck call that is branded as ‘Duck Commander’. The success of ‘Duck Commander’ led to the start of its subsidiary ‘Buck Commander’ in 2006 that develop deer-hunting products. 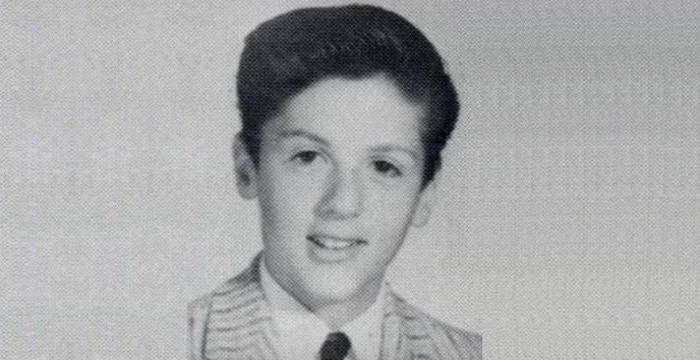 He appeared and remained executive producer of the earliest TV series that featured many of his family members. The series was titled ‘Duck Commander’, also called ‘Benelli Presents Duck Commander’ and aired on Outdoor Channel from 2009 to 2010. A spin-off of the series titled ‘Buck Commander: Protected by Under Armour’ premiered on ‘Outdoor Channel’ on July 1, 2010. Willie featured in 20 of its episodes from 2010 to 2011 performing with other cast members including Chipper Jones, Adam LaRouche, Tom Martin and Ryan Langerhans. He also remained one of the executive producers of the show. He appeared in yet another American reality TV series on A&E in 2010 titled ‘Billy the Exterminator’ that revolves around professional life of pest control expert and owner of Vexcon Animan and Pest Control, Billy Bretherton. On March 21, 2012, members of the Robertson family started featuring in the reality TV series ‘Duck Dynasty’ that revolved around their lives. The show that ran till March 29, 2017, comprised of 11 seasons including 130 episodes aired on the A&E network. Willie, his parents, wife, children, siblings and their respective families were all part of the show. Two of their employees, Justin Martin and John Godwin, also formed part of main cast of the series. ‘Duck Dynasty’ emerged among the most popular shows breaking many A&E rating records. The premiere show of its fourth season attracted over 11 million viewers marking it as the most watched series in non-fiction genre. The re-run rights of the series were acquired by Outdoor Channel in 2016. The popularity of the show and its members was so high that A&E had to lift suspension on Phil after nine days of its implementation due to public pressure. Phil was suspended by A&E following his remarks given in a GQ magazine interview that were considered “anti-gay”. Willie and his uncle, Si, guest starred in the Tim Allen starrer American sitcom TV series ‘Last Man Standing’ in its third season premiere episode ‘Back to School’ that was aired on ABC on September 20, 2013, and garnered 6.67 million US viewers. The first full-length Christmas album of the family titled ‘Duck the Halls: A Robertson Family Christmas’ produced by Buddy Cannon was released through UMG Nashville on October 29, 2013. Willie remained arranger and primary artist of the album and also co-wrote some of the songs. The album not only garnered positive reviews from critics but also debuted at #4 on Billboard 200 and #1 on Billboard Top Country Albums chart. It received Platinum certification from Recording Industry Association of America (RIAA) and gold certification from Music Canada and emerged as second bestselling Christmas album of 2013. In 2014, the family came up with another TV program ‘Duck Commander: Before the Dynasty’ that takes the viewers back to a time before the family hit it big. Willie made cameo appearance with his wife Korie Robertson in the Christian drama film ‘God’s Not Dead’ that released on March 21 that year. He attended former US President Barack Obama’s 2014 State of the Union Address as a guest of Vance McAllister, the then member of the US House of Representatives from Louisiana’s 5th district. In February 2014, he received the inaugural Governor's Award for Entrepreneurial Excellence from the then Governor of Louisiana Bobby Jindal at the West Monroe warehouse of Duck Commander. He also featured in the American improvisational comedy show ‘Whose Line Is It Anyway?’ in 2015. He married Korie Howard on July 6, 1992. The couple has six children - John Luke, Rebecca, Sadie, Will, Bella and Rowdy. Rebecca, who originally came as an exchange student from Taiwan, became foster daughter of the couple, although not legally adopted. The couple adopted Will who is a year older than their youngest biological daughter, Bella. He resides with his wife and children in the West Monroe mansion of the big Robertson family along with his parents, uncle, siblings and their families. The Robertson family members including Willie are dedicated Christians. He often preaches and expresses his strong beliefs and views on the faith. 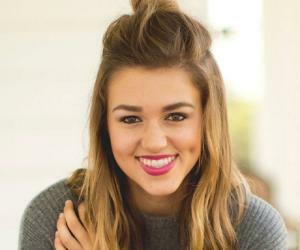 The Robertson family does lot of charity work, especially in helping the local church, however, does not make propaganda of such endeavours in their popular show ‘Duck Dynasty’.